The secret has been out the bag for a while now. Time was when the very mention of the words ‘inequality’, ‘distribution’, ‘power’, or, God forbid, ‘state’ in polite development conversation would see canapés dropped in shock and waiters scurrying to fetch the smelling salts. But as a critical mass of wide-scope research, specific on-the-ground knowledge, and social movement and civil society campaigning has grown into an irresistible chorus, the tide seems slowly to be turning. The world of international development, famously labelled ‘the anti-politics machine’ by James Ferguson, is talking about politics, about social justice, state capacity, redistribution. 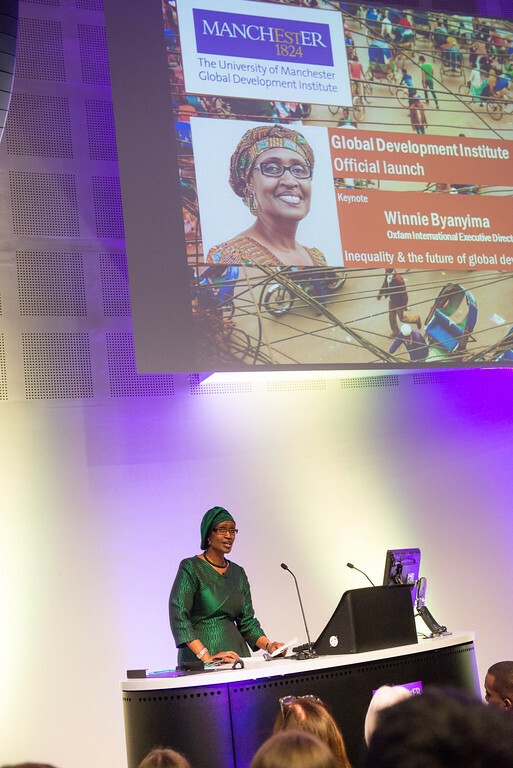 It was this that I found myself particularly reflecting upon listening to Winnie Byanyima’s invigorating keynote lecture at the launch of the Global Development Institute. The Oxfam International Executive Director – and University of Manchester graduate – ostensibly centred the lecture around an exposition of a vision that Oxfam is branding the Human Economy. However, in truth what stood out was that the terrain covered in outlining this vision fell first and foremost within the ambit of the political. Reminding the audience that “poverty and extreme inequality are not facts of life coming down from the sky like rain”, but rather the result of political choices and governmental failures, Byanyima unpacked the Human Economy idea through a series of fundamentally political issues: fighting gender injustice; accountable democracy as “the most powerful equalising force ever invented”; the need for governments to rebuff the blackmail tactics of tax-dodging multinationals; the painfully obvious anti-egalitarian effects of privatisation and sky-high fees in education (the air in the University of Manchester lecture theatre felt particularly electric at this point…). Herein perhaps also lies the answer to another interesting audience question, from a student worried that academic work and a life of ‘just writing articles’ may offer little towards meaningful change in the world. The launch of an institute for the academic study of global development seems a good time to pose this question. But if, as Byanyima argued, questions of politics and power are integral to the reproduction of inequality, injustice, poverty, and to overcoming them, then we need to understand how these dynamics work; how migration, or climate change, or transnational finance are reshaping our societies; how various actors – including universities and NGOs – are connected in often complex webs of power and influence. We need to be able to make compelling arguments about alternative future directions that stand up to detailed scrutiny. This is what rigorous, critical research can offer. There needn’t be a sharp dividing line between the worlds of academic and practitioner/activist, but equally, each can make distinctive contributions that the other can’t. Byanyima issued a rallying cry for ‘optimistic rebels’ within both activism and academia. This is a good candidate for a motto as the new GDI gets down to producing knowledge, insight and argument about the deep and complex basis of and alternatives to the inequities all around us. As Winnie Byanyima commented at the outset of her lecture, this is, in fact, what Manchester has long been all about. 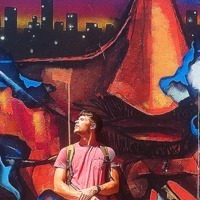 Chris Lyon is a PhD candidate at GDI. The working title of his thesis is Exploring a relational conception of social justice: liberals, radicals, and Brazil’s ‘new social contract’.